How to prepare a nice city trip with a good map? 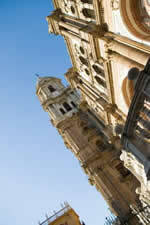 Grab a map of Malaga Spain and put on some good tracking boots because we are all set to explore this wonderful city. I would not even dream of visiting any city without having a good map. A knowledgeable traveller is a happy one because if you have a good idea of what you want to see, a map of Malaga can lead you clearly around without losing precious time. How many times have you lost hours just trying to get to certain museums or glorious churches and then were hit in the face with a closed door or long lines? You can easily get a map of Malaga before you even arrive and plan out every step you wish to take. Travelling in spain has become quite fashionable and therefore any decent bookshop or just connecting online can satisfy this detail. If you can learn spanish before arriving, just a little, then you will zig-zag in and out of any situation and enjoy your visit so much more. So unfold your Malaga map and let´s get going. Malaga is on the southern coast of Spain, exactly on the Costa del Sol– the Sun Coast- and bathed by the Mediterranean sea. When looking at the map, you observe that to the left, we have the little fishing village of Guadalmar, where the Malaga airport is. Next, we come to Torremolinos, a busy tourist resort and not more than half an hour away is Fuengirola, with its magical beaches. To the right of Malaga city is a city called Velez-Malaga. 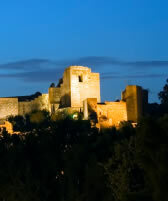 We can also appreciate finding Malaga´s National Park and see that Malaga is split in half by the Guadalmedina River. There is an extensive port area with its own lighthouse at the tip. We can learn the names of the beaches which lie at its feet so we can later soak up the sunrays. 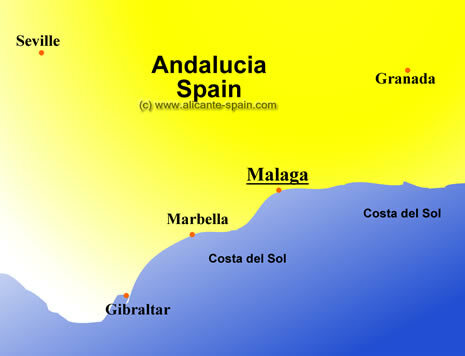 With just this quick glance at the map of Malaga Spain, we are already feeling the heat of the sun and the Andalusian ambience. Let´s get a closer look at the Malaga city map so we can see how we are to get around to see all. The streets of Malaga are very explicit and clearly marked so we can look at the legend and pin-point our starting place which would logically be from our hotel in Malaga. 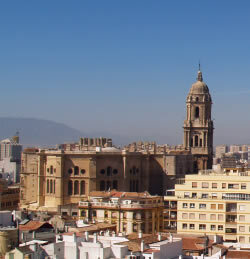 Once we have found our Malaga hotel address, we can make up different itineraries. For the first day, you could just cruise around a small area, not wandering too far away from the hotel. We should jot down all the interesting sites within a reasonable walking distance and look into timetables and dates which can also be found on the maps of Malaga. To be ready for lunch and dinner time, for exquisite seafood and local meat dishes, many maps show you where these typical taverns and cafes are found. Or you can keep an eye out for any place that catches your eye and ask for advice back at reception. For a second day tour, you might find out more about some other fascinating attractions that may be further away. But there are specific maps specialising is showing the bus and train routes to make travelling time the shortest possible. If you are lucky enough to hire a car, then you are to given a detailed road map to show you all the main roadways leading to these other places and you can get there in a breeze. And if we are on the last day and need to make the special souvenir shopping spree, the shopping centre are also very well shown. In my opinion, the tourist office should be the first and best bet to get great maps and leads. These offices are usually found in the Town hall Square. In high season, there are booths set up all around the city and provide this information free making it incredibly easy to have a map of Malaga.